Iraqi Ambassador to Russia Haidar al-Athari discussed with the Chairman of the Parliamentary Energy Committee of the Russian State Duma, Pavel Nikolovi Zavalni, ways of cooperation in the fields of energy and increasing the number of Russian companies operating in Iraq. The embassy said in a statement received "the Iraqi Ambassador in Russia Heydar al-Atari met in the building of the Russian State Duma, Chairman of the parliamentary energy committee Pavel Nikolovig Zavalny," noting that "the two sides discussed ways to develop bilateral relations in the areas of energy and increase Number of Russian companies working in the field of energy in Iraq. " Al-Atari stressed that "Iraq has the great desire to open the way for Russian companies to invest and work in Iraq," stressing that "Russian companies operating there have achieved great successes in the field of work, which prompts the Iraqi government to urge other companies to work in various Iraqi cities "He said. 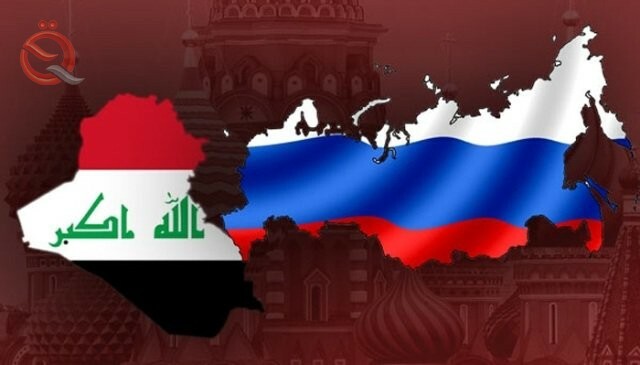 "Russia supports Iraq in all its aspirations for a strong return as an influential pole in the region and looks forward to increasing the level of economic and trade relations between the two countries," Zavalny said. "There is a strong desire among Russian companies to work in Iraq."